Remember last week when I told the story of how I wanted to run Mojave in a virtual machine and I did everything I could to ignore Steven Goetz’s advice that I needed to turn the installer into an ISO? And then I had to begrudgingly admit that he was right? Hi, if you are running Parallels Desktop 13, then just click File -> New -> Install Windows or Other OS -> Choose Manually, then drug-n-drop the Install Mojave.app to the window. 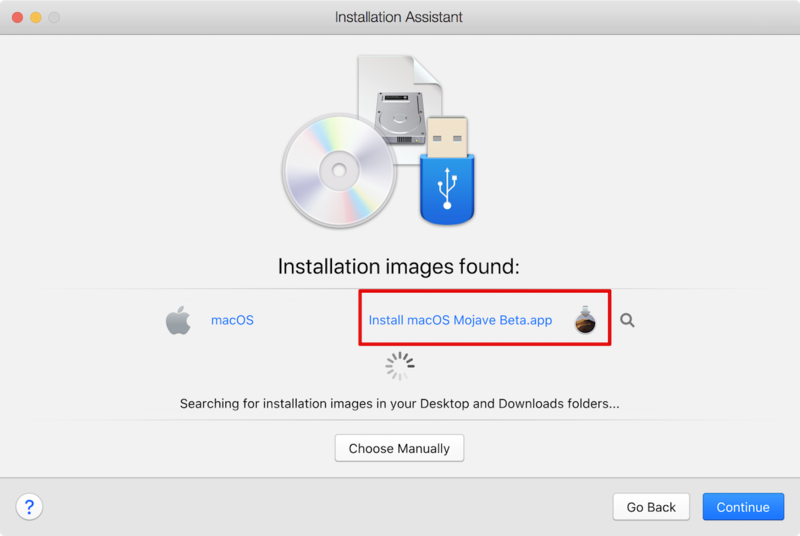 Sure enough, I opened Parallels Desktop, selected the manual option to choose an OS to install, and I was able to directly choose Install MacOS Mojave Beta.app that had been downloaded directly from Apple. While Steven’s solution would technically work, there was a far easier way. This is one of the reasons you might want to consider paying for a polished package like Parallels Desktop rather than the open source Open Box from Oracle. Now you just have to create a Parallels guest high sierra vm running on the native high Sierra host. Once created upgrade the guest to the Mojave beta from Apple. Took 90 min last night.